Turning passive visitors into leads or consumers is a common goal and with a deep analysis and effective strategy. TMS works to strengthen your conversion optimization creating more user engagement and more. 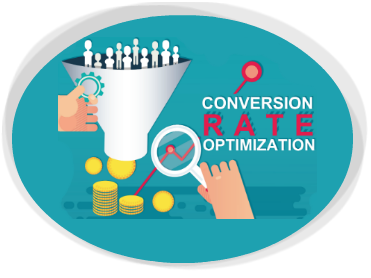 Conversion rate optimization is one of the metrics used to measure how well visitors to a website perform the desired action. This can be as simple as joining a mailing list, filling out a form or more complex. Different courses of action can be measured, and the ensuing data can be used to further optimize a site in order to increase converting users. Conversion rate optimization applies to prospects once they have actually landed on the website. One way or another, you are spending money to get customers to your website. You might be investing in a PPC marketing campaign, buying content to market online, building landing pages, and hosting a website. Knowing how to manage all this is a different beast. Wouldn’t it be nice to efficiently improve the number of sales, without increasing expenditure? This is where a customized conversion rate optimization strategy will help. 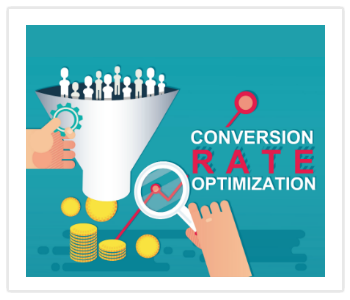 Conversion rate optimizations should be incorporated into a landing page or home page of your company site. It's key to know in advance the actions you want visitors to take once they have arrived on the site creating a natural flow of information and steps, ending in your ultimate goal. Sounds easy, right? 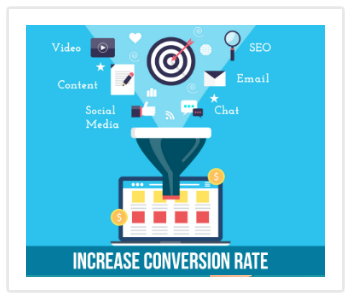 Unfortunately, many websites do not convert as well as their owners would hope, but conversion rate optimizations can be fine-tuned for increased success. 1. We mentioned it earlier, but the improved user experience will ultimately lead to an increase in conversions. Split A/B testing is one method TMS utilizes to track which changes optimize conversion rate. 2. Increased conversion from existing customers, without extra acquisition cost, resulting in a better return on your investment. 3. Attracting the customers who will actually convert, or quality traffic, rather than visitors who are not actually interested in what you have to offer, using insights gathered from analytics. 4. Improved scalability, transforming visitors into buyers, without breaking the bank. 5. Enhancing the trust visitors place in your site. Growing your authority in your industry. Answering questions and providing high-quality customer service is part of any strong conversion rate optimization tactic. Analytics is one of the tools used for improved conversion rate optimization. Setting a goal within the dashboard of Google Analytics provides immediate data when visitors come to your site, including the actions they take. TMS manages the Google Analytics to ascertain where they are leaving the site and close those loopholes. Improve PPC ads with keywords that are relevant to your site and potential customers. Include keyword rich compelling content to guide visitors to your landing page. Landing pages should be user-friendly, with targeted and funneled steps to direct visitors to take the desired action. Once data has been compiled, TMS focus on qualitative analysis combined with analytic data to determine which steps are required to optimize conversion rates. Understanding what is bringing visitors to your landing page, and providing relevant content that will capture their attention while guiding them to take action is the goal of a landing page is important. But how is this achieved? TMS collects your existing data, performs extensive keyword research, and uses these results to create compelling, optimized titles and content within the page, to increase the success rate of your campaign. We understand that throwing more money at PPC ads is not going to increase the rate of conversion. Providing visitors with the solution to their problems will. When potential customers click on your ad or link, their immediate initial impression of your landing page will either capture their attention or send them back to the search engine to try again. Obviously, the first goal is to create a landing page that is user-friendly and provides them with the answers they need. Is your Call to Action easy to see and use? Does your capture form contain the necessary elements? Surveys and emails are methods to gather more information on visitors at a later date. For now, it is better to achieve the initial goal, sign-up, or purchase, rather than knowing the date they purchased their first stroller. Bulleted lists are often used to provide direct, targeted information, in a concise format. Keep the overall appearance of landing pages clean, uncluttered, and to the point.Adding a free ebook, whitepaper, or special offer is a simple way of gaining sign-ups. Exit pop-ups are typically less annoying than entry ones and are a simple conversion rate optimization that can be beneficial in capturing an email address of a visitor who may be lost otherwise. Top Marketing Strategies increases conversion rate optimization for our clients using these outlined strategies and tools, to ensure the highest value from your SEO marketing campaigns.